Our neighborhood grocery store recently started stocking these cookies in their bakery department. Every time we walk through the bakery I’m tempted to add some to our basket. 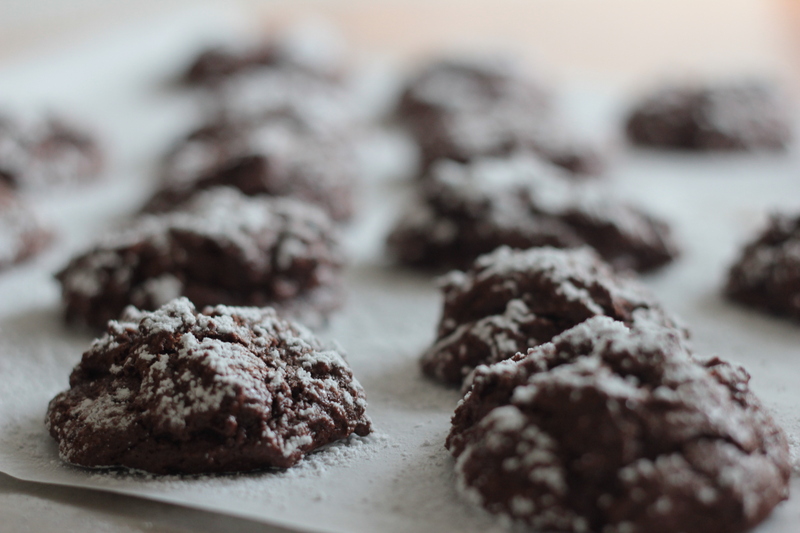 Then, as I was going though some of my saved recipes, I found this recipe from a fellow blogger for those same cookies I’ve been swooning over. Imagine my delight! In my initial scan of the recipe, I missed the part about refrigerating the dough for 4 hours (*sad face*). I wanted these cookies to be all that I imagined them to be so I stuck it out and let them chill overnight. They ended up being a delightful mid-morning snack. Preheat oven to 350 degrees. Line cookie sheets with parchment paper. Roll dough into one inch balls and place on prepared cookie sheets.Sprinkle each ball with confectioners’ sugar. Bake in preheated oven for 12 to 14 minutes. Let stand on the cookie sheet for a minute before transferring to wire racks to cool.